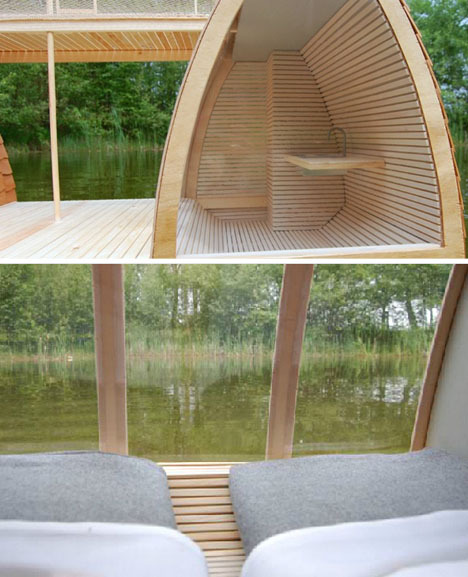 How many people out there, whether you’re interested in prefab houses or you’re part of the tiny house society movement, have thought about ever taking a cruise (is that the right word) in a houseboat? 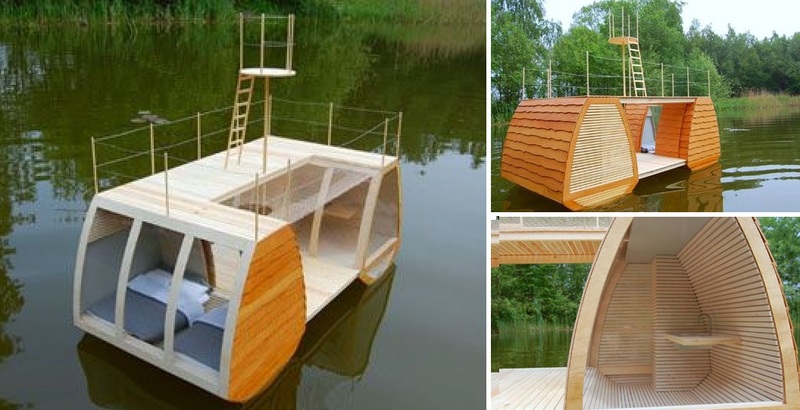 I left one thing out: there’s a sundeck on top with a diving platform at the very top, so tiny house dwellers can take a dive into their yard — or lake! To visit the designer’s webpage, (click here). Next Article The Original Bubble House … Yes, They Actually Made and Sold These in the 70s!